Compared to the long-term average August was markedly substandard as to the temperature and markedly above-average as to the precipitation. Chemical treatment mainly against Peronospora went on. Health state of hops is good, demage caused by Peronospora appeared just sporadically. The harvest started from August 18th to 23rd, 2014 and has not been finished yet. 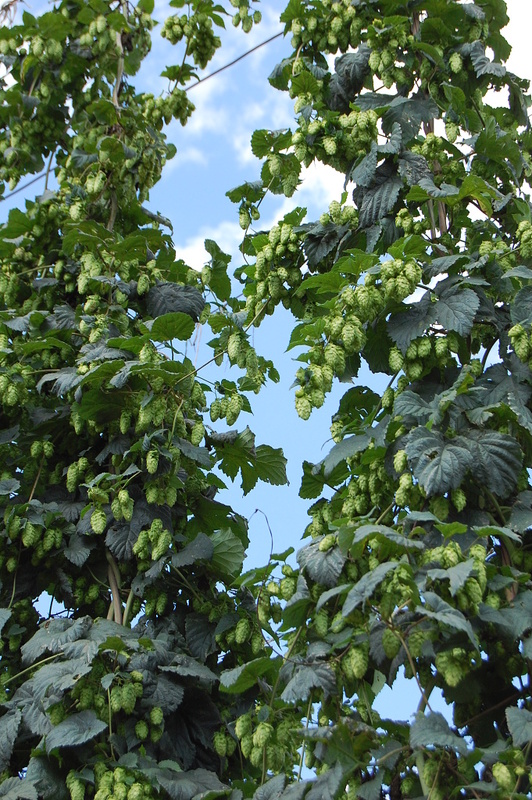 The average yield of Saaz semi-early red bine hops is expected to be standard (approx. 1,1 MT/ha). Though the average content of alpha acids according to some measurement reached just 3,0 % at the beginning of harvest, we estimate the average of Saaz semi-early red bine hops crop 2014 in Saaz area will be slightly higher. Following picture shows the state of hops at our farms (Petrohrad) before the harvest.